Since 1991, Allen House senior apartments in Washington DC has offered caring, quality housing for independent seniors. Located in Northeast Washington DC, this high rise elevator building is a staple in the community and a source of pride for its residents. 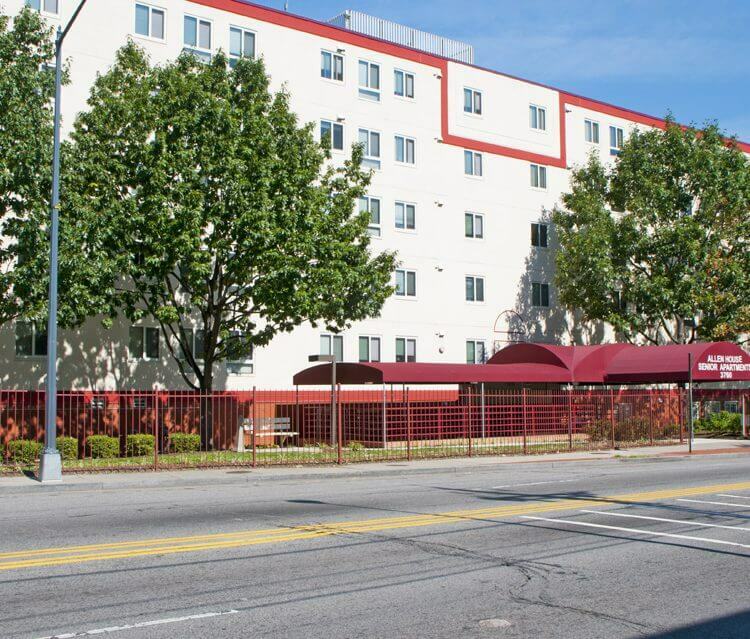 With professional management, 24-hour emergency maintenance, and convenient access to grocery shopping, restaurants, and a Metro Stop, Allen House Washington DC apartments continues to fulfill its mission of providing affordable housing for seniors and the disabled. Our recent Washington DC apartments renovations have included adding new kitchen cabinets and flooring. Building renovations include adding a waiting room off the lobby, upgrading the craft room and adding a kitchen to the community room. In addition, residents have use of a laundry facility with a flat screen TV, a reading room, and an exercise room. The building offers gated parking with assigned parking spaces. As with all Washington DC senior apartment communities managed by ResidentialONE, Allen House is a Senior Life Community. This program ensures a high level of commitment to treating residents with compassion, patience and respect while making the community a place residents will be proud to call home by providing service oriented management and innovative resident programs. We offer a Utility Savings Program to our residents, find out more information here. Find More Apartments Great locations, communities and apartment styles to choose from.